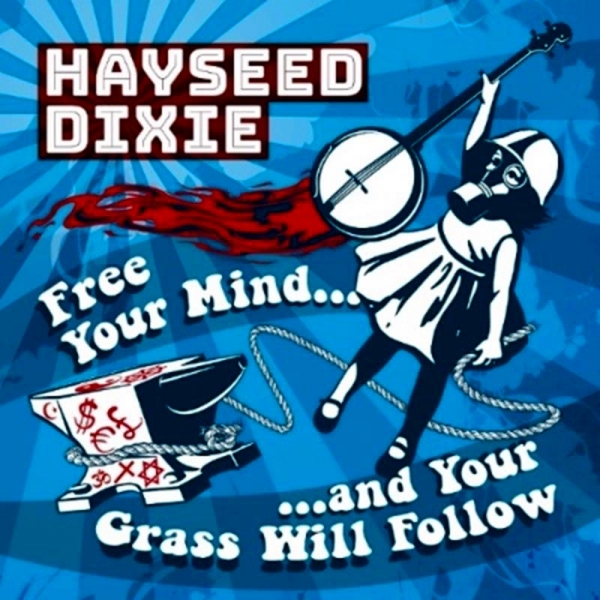 Hayseed Dixie performing their Free Your Mind…And Your Grass Will Follow Tour at The Venue Derby on Wednesday 10th May 2017. If you want to have a good night out seeing a band which provides fun from the off, then seeing Hayseed Dixie is an absolute must. It was at The Venue in Derby last night that they took to the stage and launched in to AC/DC’s Dirty Deeds Done Dirt Cheap and from then on in there was never a dull moment. Having carved a niche for themselves as the world’s premier ‘rock grass’ band, a genre they invented when they blended the blue grass strain of country music with hard rock, it was easy to see why they have become so popular. From the start to the end the professional four piece band comprising vocalist and acoustic guitar player, John Wheeler, Hippy Joe Hymas on mandolin and acoustic guitar, Jake Byers playing acoustic bass and the brilliant Tim Carter with his banjo, delivered clean faultless sounds, and with their great down to earth attitude and quick witted humour meant there was never a dull moment. Besides their obvious love of the cover version, they can also pen a tune of their own, although unsurprisingly their songs should not be taken too seriously, such as In The Backyard and the classic Keeping Your Poop In A Jar. 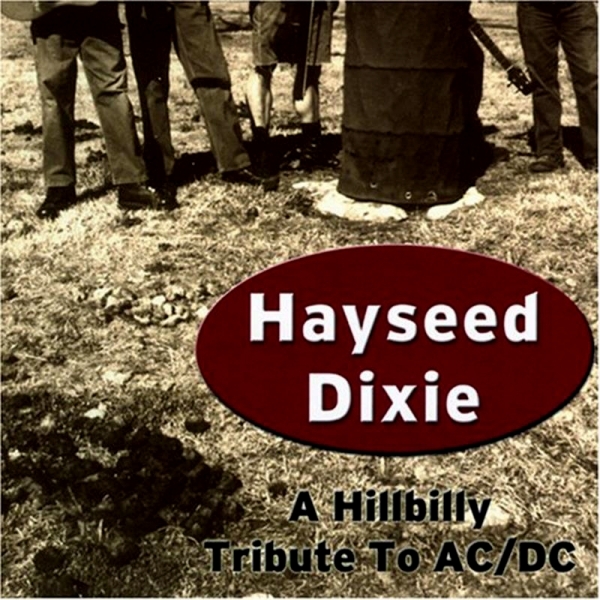 From their varied set list, it would seem that no artist is safe from the Hayseed Dixie treatment. There was Creedance Clearwater Revival’s Bad Moon Rising, The O’Jays’ Love Train, Elvis Costello’s Watching The Detectives, Bob Marley’s Buffalo Soldier, and Motorhead’s Ace Of Spades. Wheeler is a most engaging front man, and to the delight of most of the crowd he found time between songs to have a swipe at Coldplay. Drinking ‘white trash’ Prosecco, he was on excellent form as he told the tale of how even after 17 years his mother still tells him “It’s not too late to go back to school to be a lawyer”, cue a hilarious rant about lawyers. 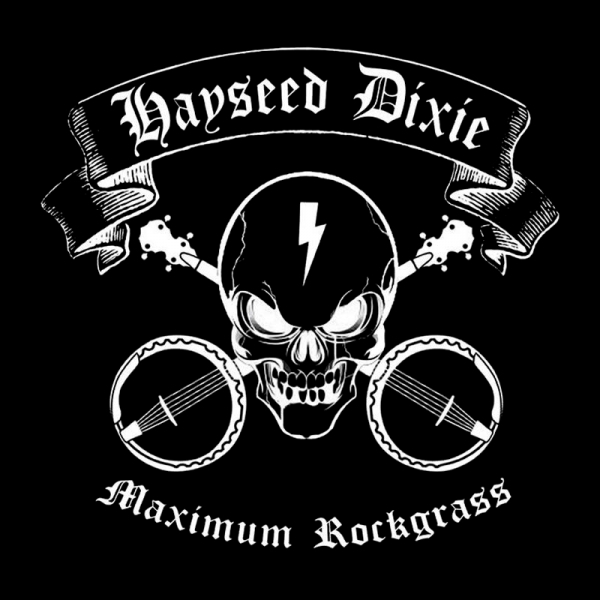 Delivering a cross between Bohemian Rhapsody and Marvin Gaye’s Let’s Get It On, Hayseed Dixie are without doubt accomplished players. Wheeler is not only a master of the guitar and possessor of a fine voice; he also plays a mean fiddle. With the help of Carter and Byers Hayseed Dixie make the whole show a raucous party whilst Hymas ran about the stage like a Duracell Bunny. The speed at which each member played their instruments was just jaw droppingly impressive. Given that there were no drums, no pianos and no fancy gadgets on stage they had provided a night of brilliant entertainment. If you can go to a Hayseed Dixie gig and come away without a massive smile on your face, then you most definitely have had your funny bone removed. They may not be playing to sold out arenas any time soon but The Venue in Derby perfectly suited them. With its friendly staff, great beer and intimate atmosphere, the evening was over all too soon. With a number of gigs taking place there later this year, it will soon get a reputation of being a go to venue.